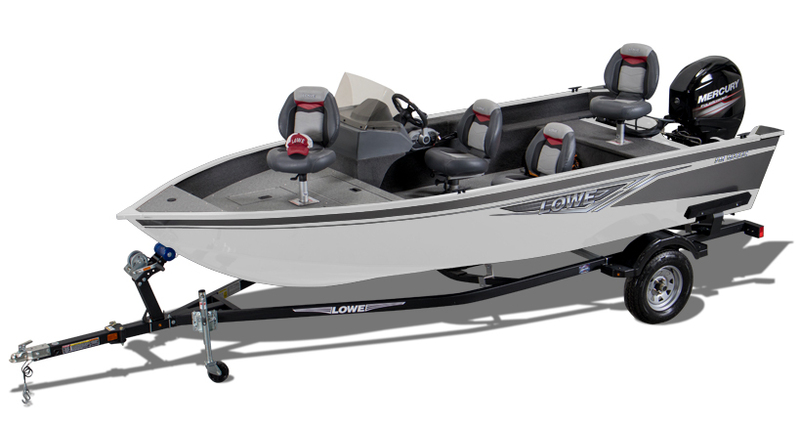 The new Lowe FM 1625 SC’s tournament-inspired design provides unbelievable value and performance at a believable price. 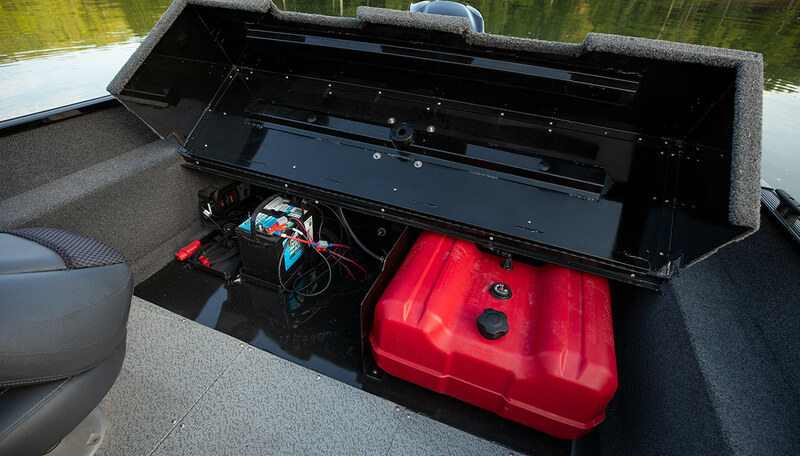 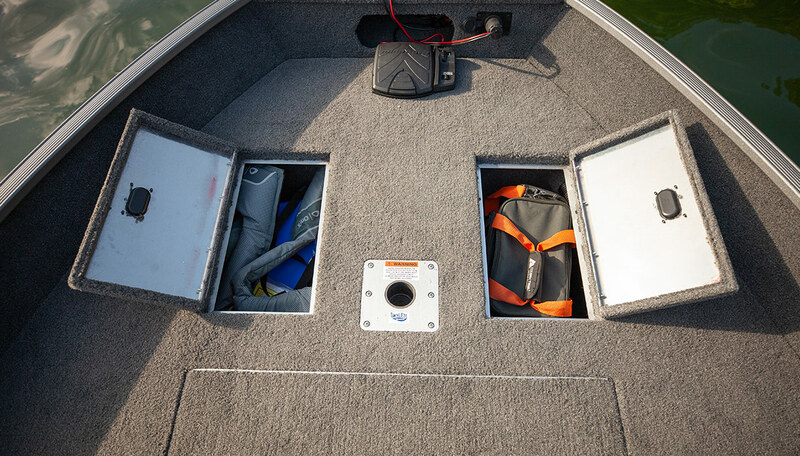 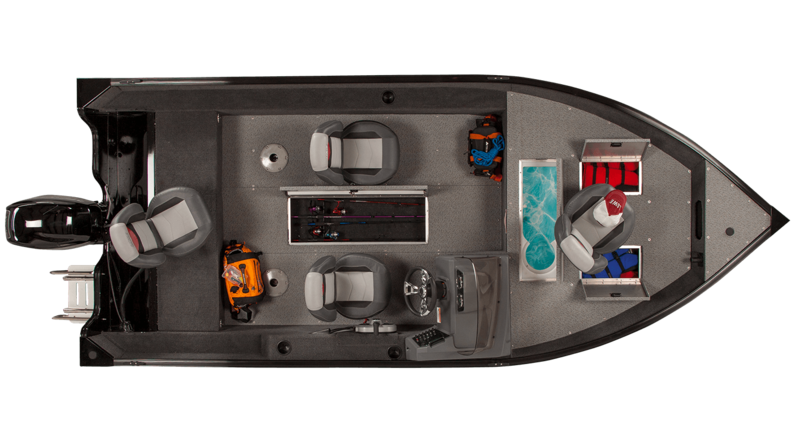 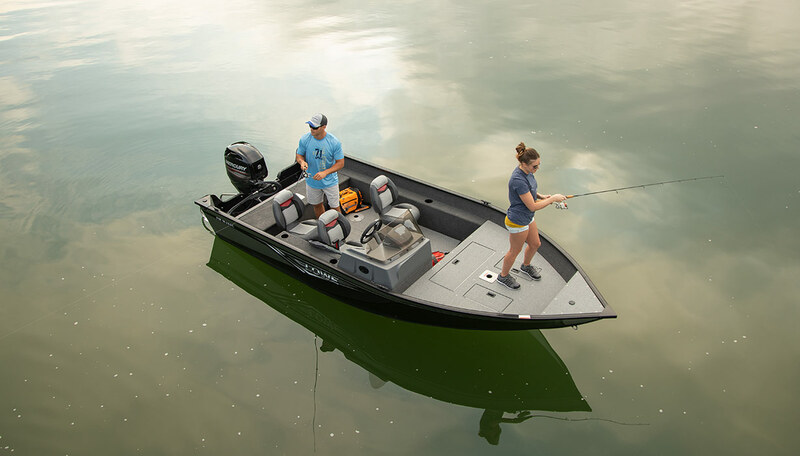 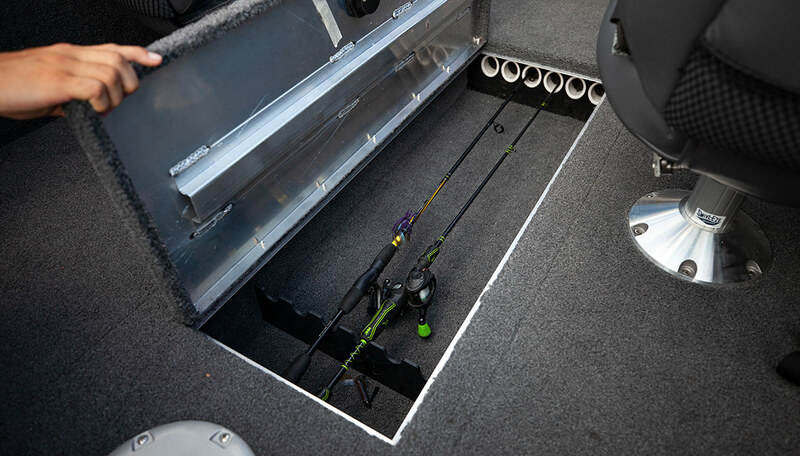 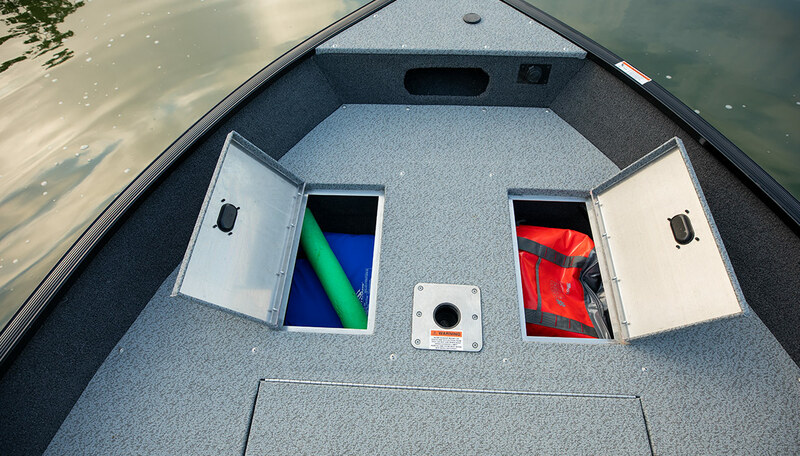 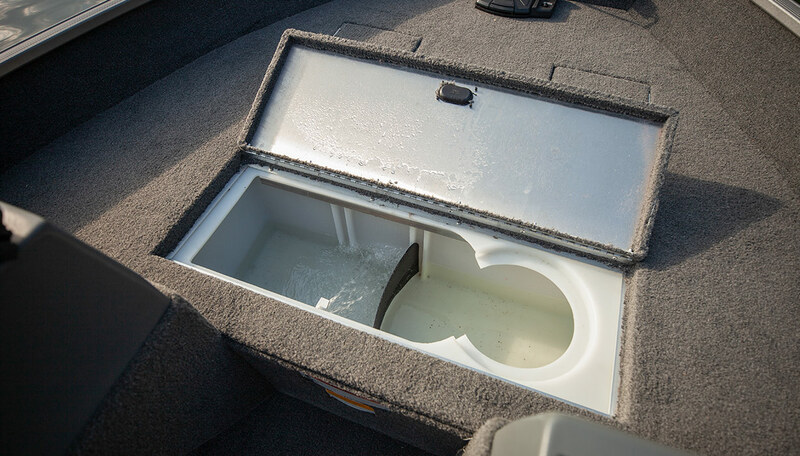 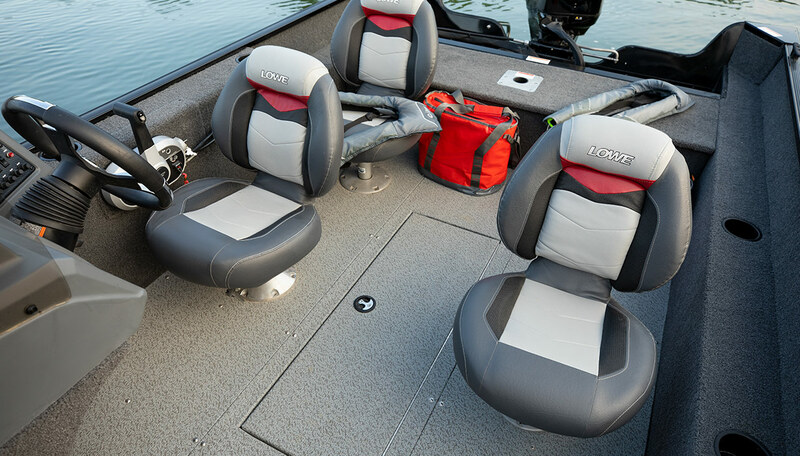 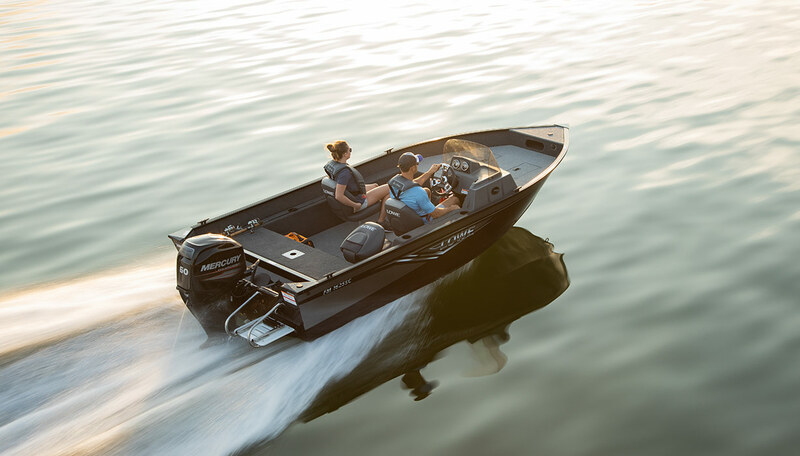 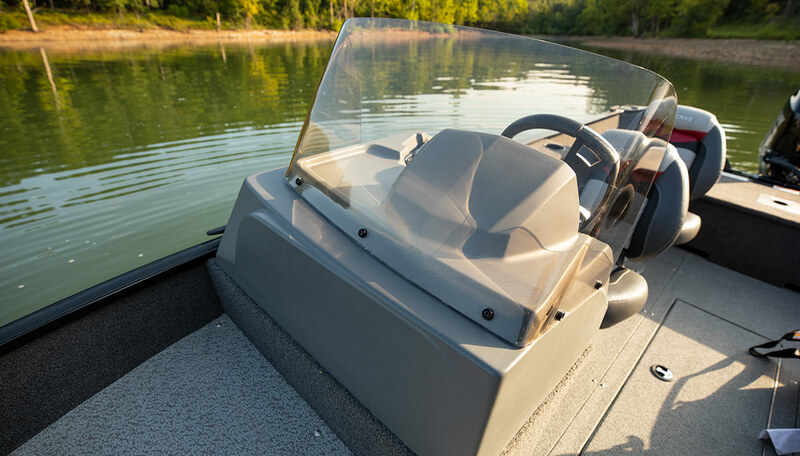 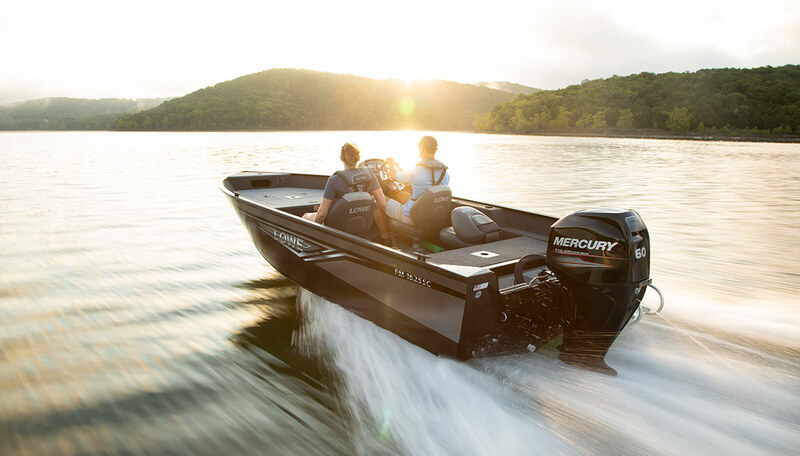 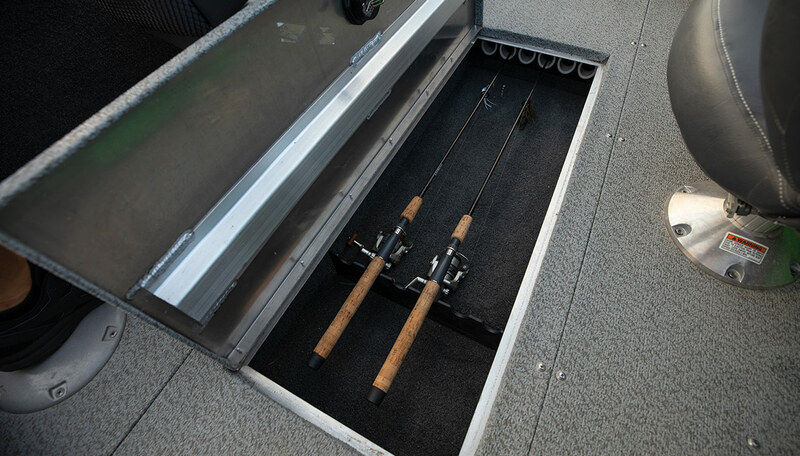 Refreshed for 2019, it features a spacious in-floor rod locker that can carry up to (6) 8’ rod lockers, four ultra-comfortable pedestal fishing seats with 6 bases, a new lager 23 gallon bow livewell, and a Lowerance Hook2 fish finder. 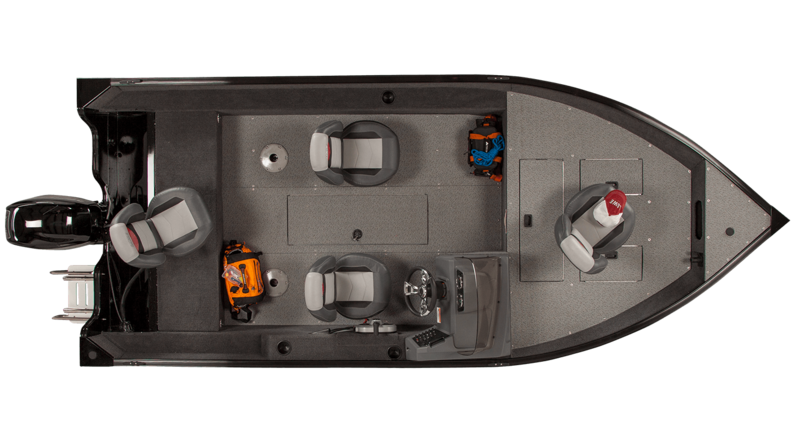 Its deep-V aluminum hull handles rough water with ease, while its huge deck provides serious anglers the competitive edge to reel fish in. 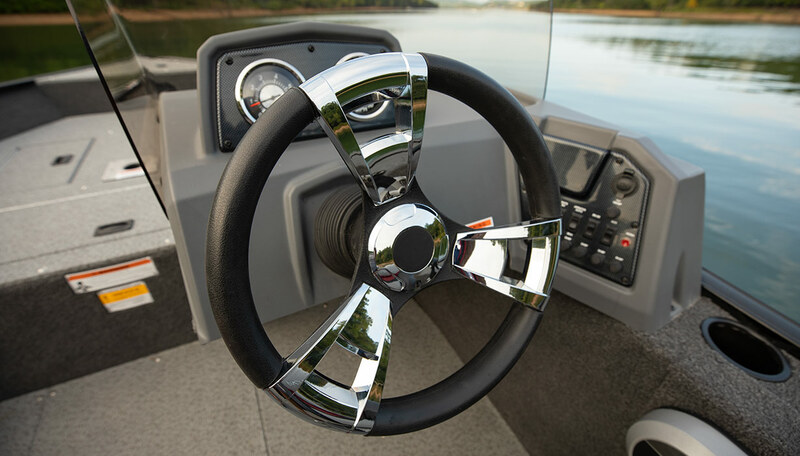 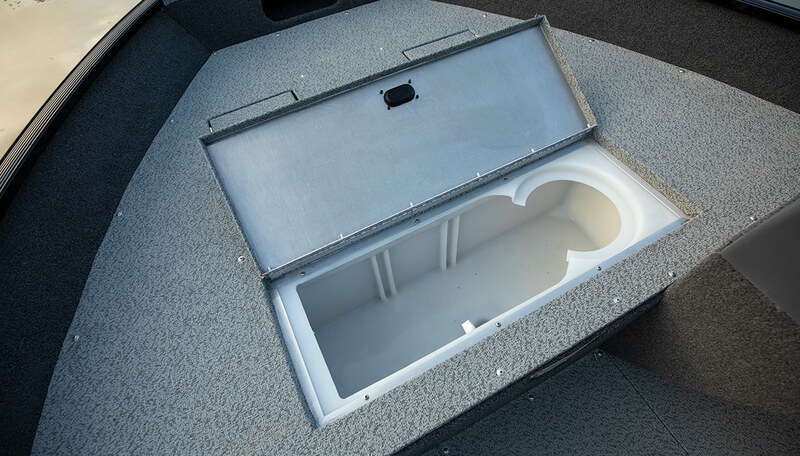 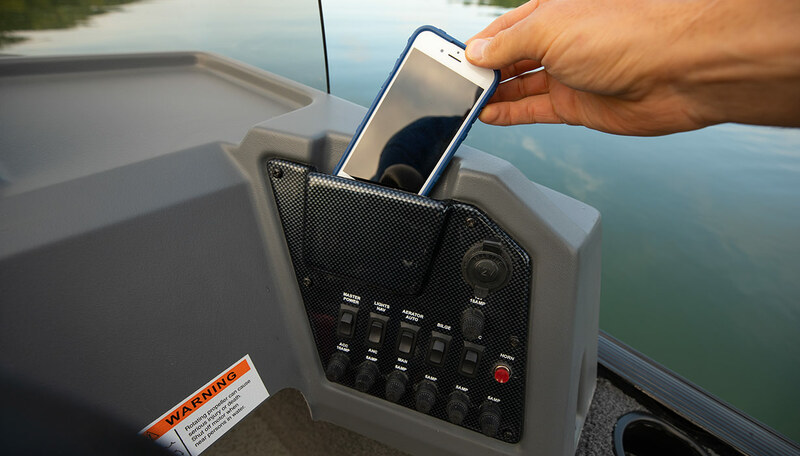 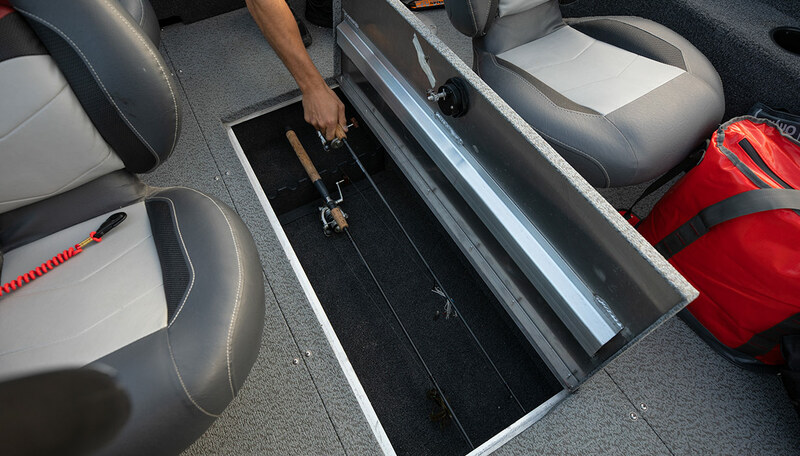 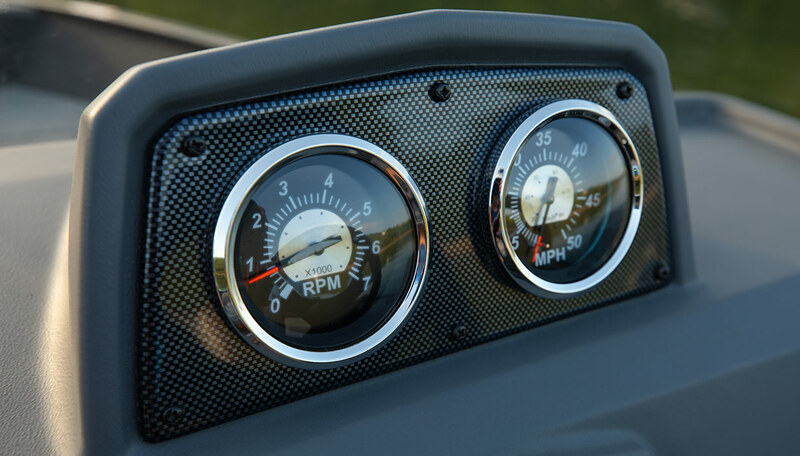 It also comes packed with plenty of smart storage space, a durable side console with chrome bevel gauges, and convenient flip-up stainless steel cleats. 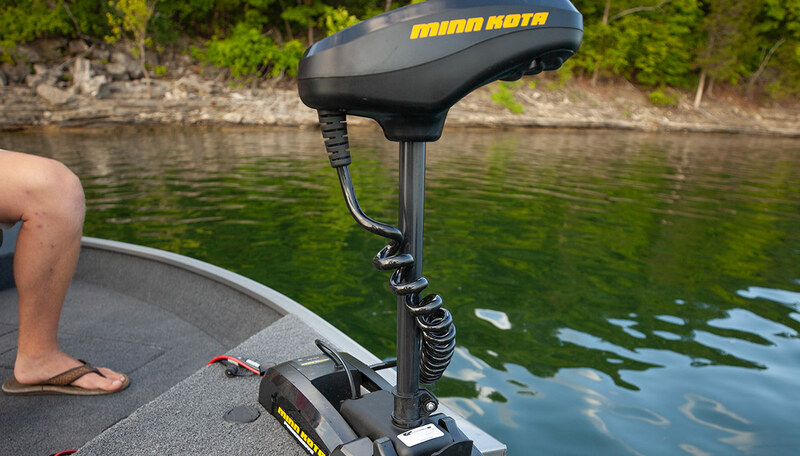 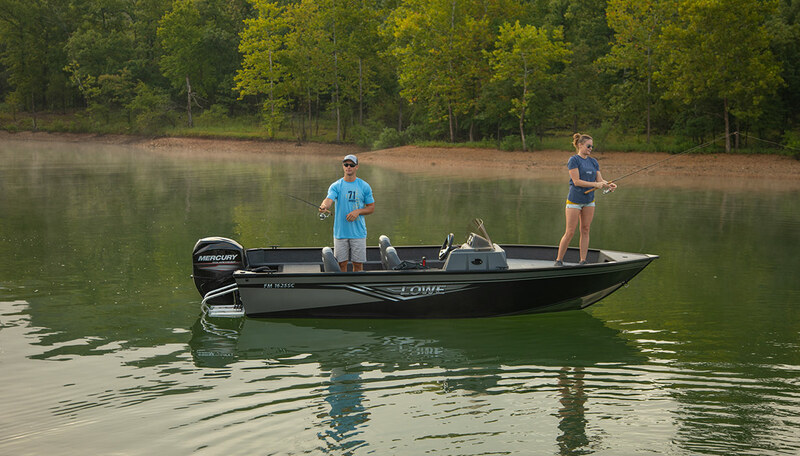 The professional-grade FM 1625 SC is a fishing machine that lives up to its name. 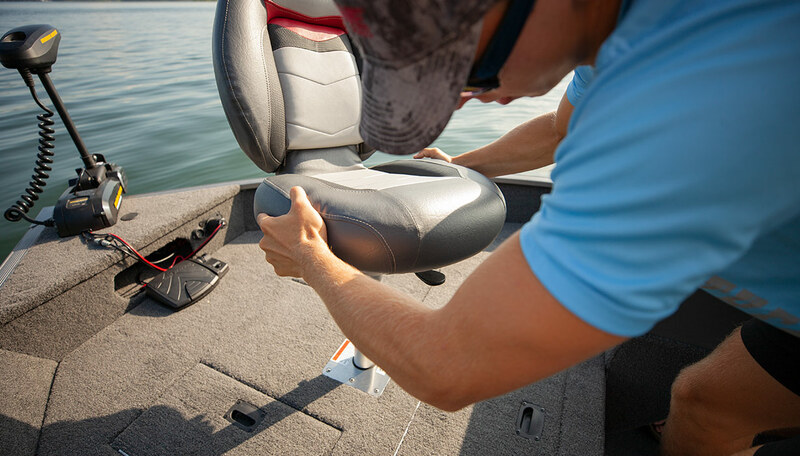 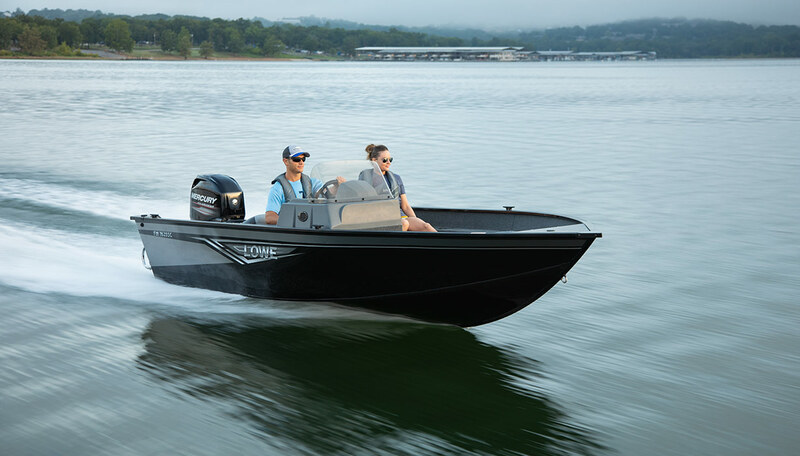 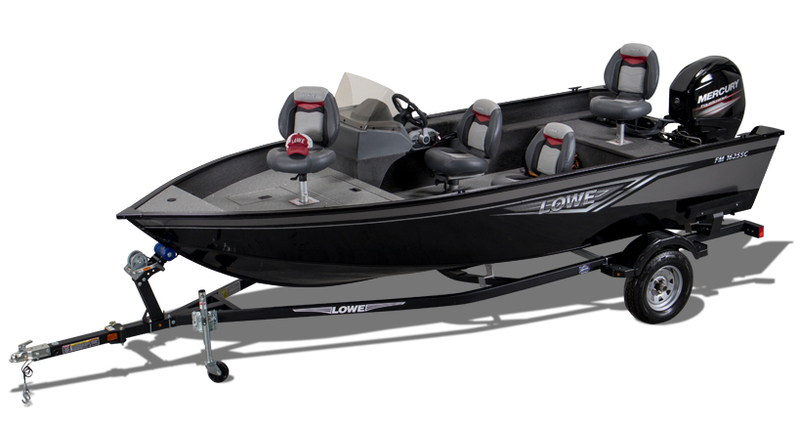 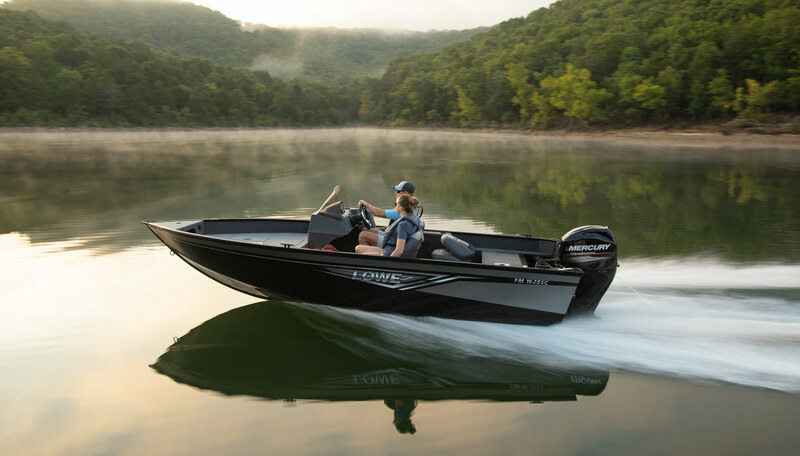 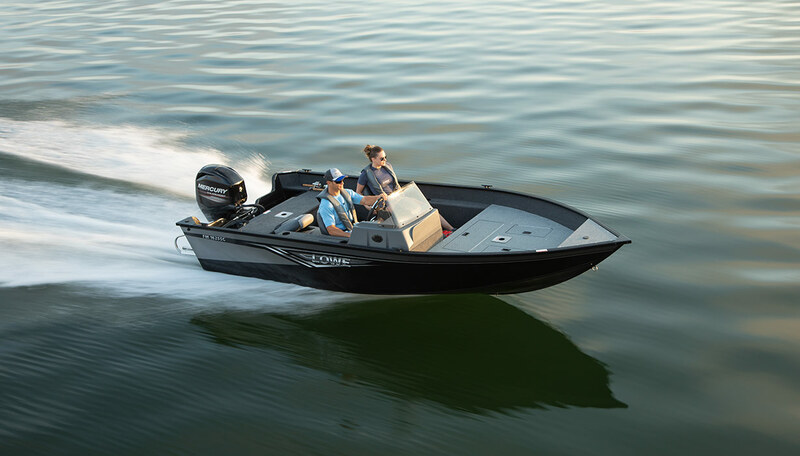 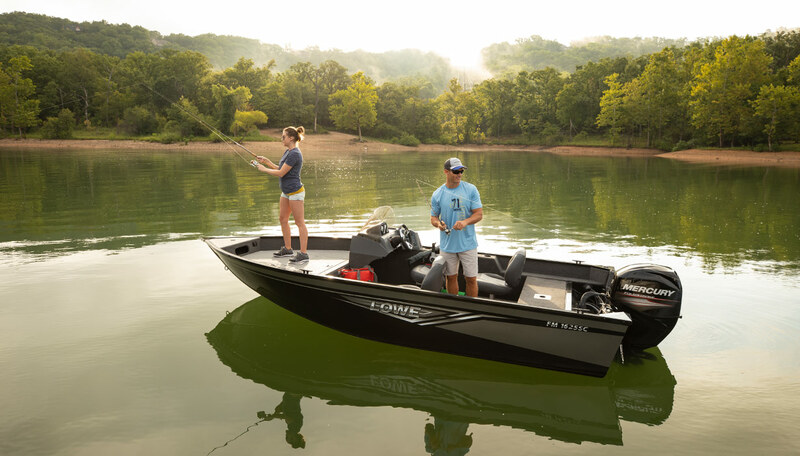 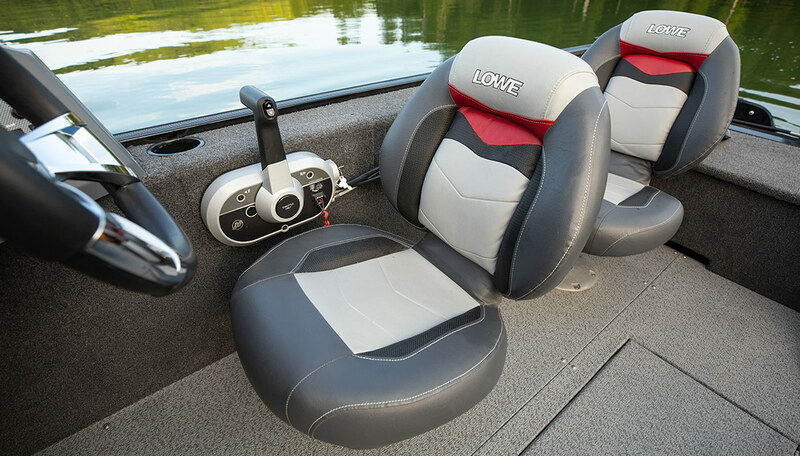 It’s everything you love about Lowe in a compact-sized, ready-for-action fish boat.